Looking for a great activity for when you're teaching forces? Look no further! 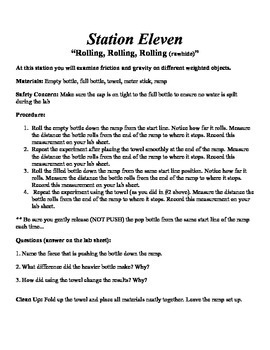 These 12 lab stations take students through all of Newton's laws and different types of forces. There is a lot of variety throughout each station. Roller coasters, toy cars, magic tricks and more! 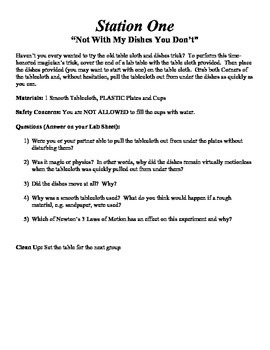 My students have always enjoyed this lab. Included in your purchase is the station sheets with directions and teacher background info with some pictures. 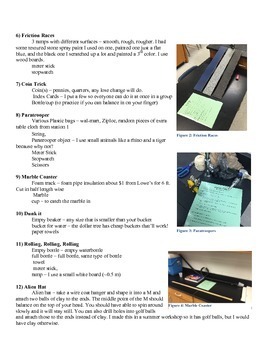 I walk you through all materials (there are plenty but most you'll have on hand or are inexpensive and can be purchased at the dollar store). 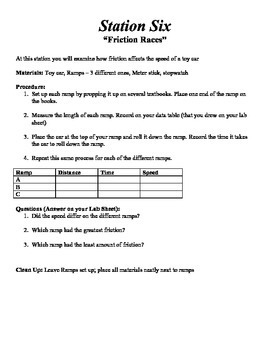 Need other resources on for teaching Newton's Law's? Check out my balloon rocket lab!